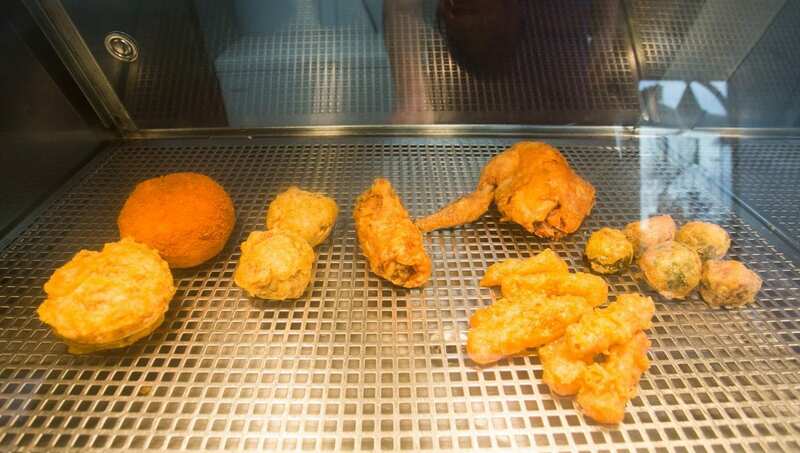 A festive chip shop owner has gone one batter than his rivals – and created a deep-fried full Christmas dinner. 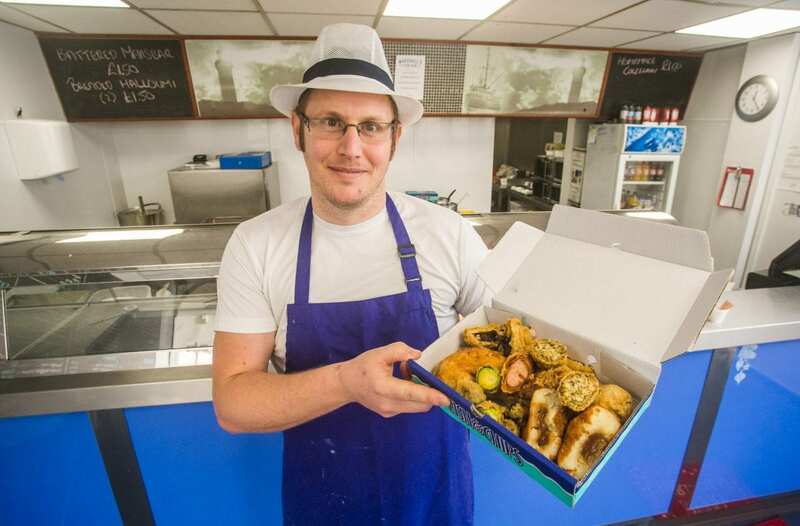 Andrew Marshall, 35, serves a poultry leg, battered sprouts, carrots, pigs-in-blankets and stuffing – all battered. There’s also a gravy bomb and a mince pie to finish it off – which are also fried. 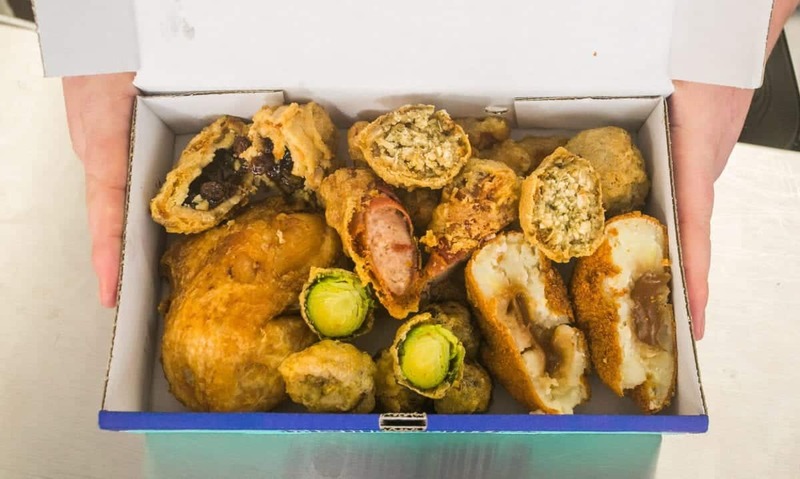 The festive takeaway totals an artery-clogging 1,100 calories but is relatively light on the wallet at just £9.95. Andrew first trialled the unusual festive meal last year, and it was so successful that he has brought it back for 2018. 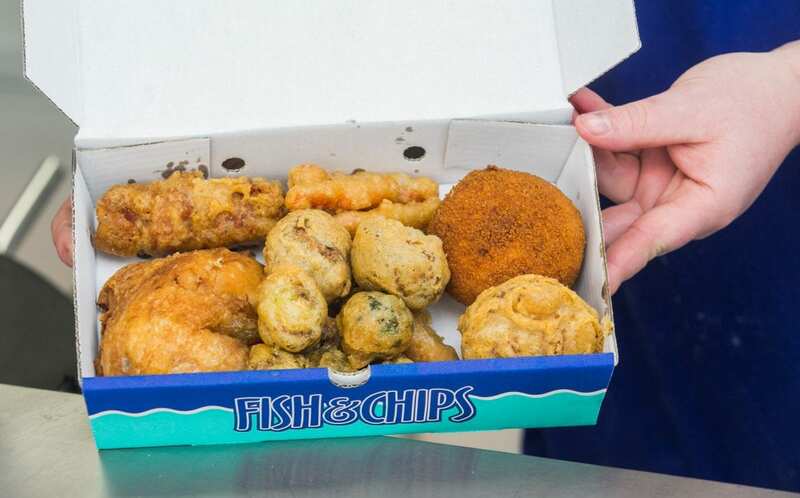 Andrew, who runs Marshall’s Fish Bar in Collumpton, Devon said: “After some thought, we decided to launch the Chipmas dinner again because it seemed to work so well last year. “The reason I came up with the idea is because my staff say I am a Scrooge when it comes to Christmas so I thought why not come up with something different? “The battered Christmas dinner will start with a fried chicken leg, battered sprouts, carrots and pigs in blankets,” he added. “We will then take an ice cube of gravy, surround it in mash potato, cover it in breadcrumbs and then fry it.